Sleeves were big last season (see our Oversized sleeve top pattern) and they're even bigger this season - pun intended. Sleeves remained the focal point of many garments. Most kept the body of the garment slim so the sleeves could really do the talking. 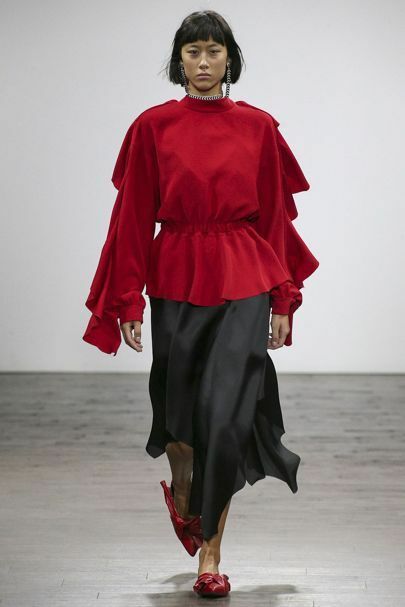 Delpozo had the most sculptural sleeves which stood rigid and created architectural shapes, whereas the majority of the other brands favoured a puff sleeve. 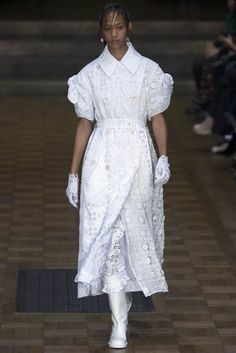 Coming mostly in the forms of a leg of mutton as at Marques'Almeida or Loewe, or a puff in various positions down the arm such as at Alexander McQueen where shoulders were bare and sleeves were clouds floating around the arm, or at Pringle of Scotland where the sleeve was flat until the elbow and then became a puff. 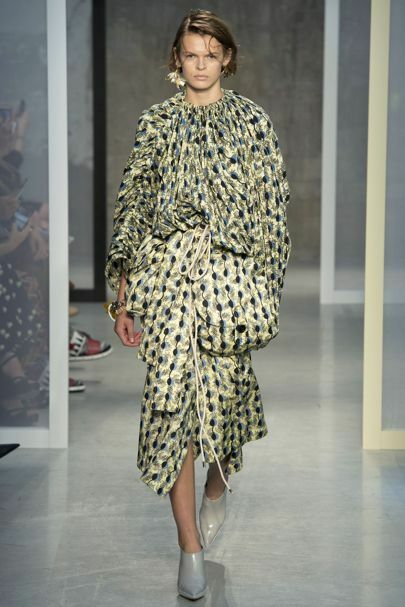 Chloe and Roksanda both created interesting shapes by using squared off edges to contrast against the flowing fabrics used. There was also a mini trend emerging for opaque fabric on the body and sheer sleeves - especially tulle sleeves.